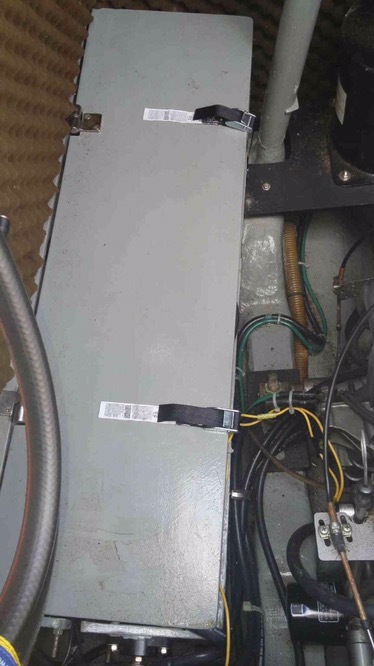 Wow what a week, we got to the island and realized that the batteries were only holding a charge for <1hr, I was confused and popped the hatch and jumped into the engine room to diagnose. The skinny, batteries looked ok – but they were bone dry (no good). So I woke up early on Saturday and dingy’d into Two Harbors general store to get some distilled water to “top them off”. Long story short and 5 gallons later we topped them off and looked at the charge meter on our Xantrex. I thought everything would work again, but I was sorely mistaken. Our batteries were officially fried and only hold a max of ~2hr charge. 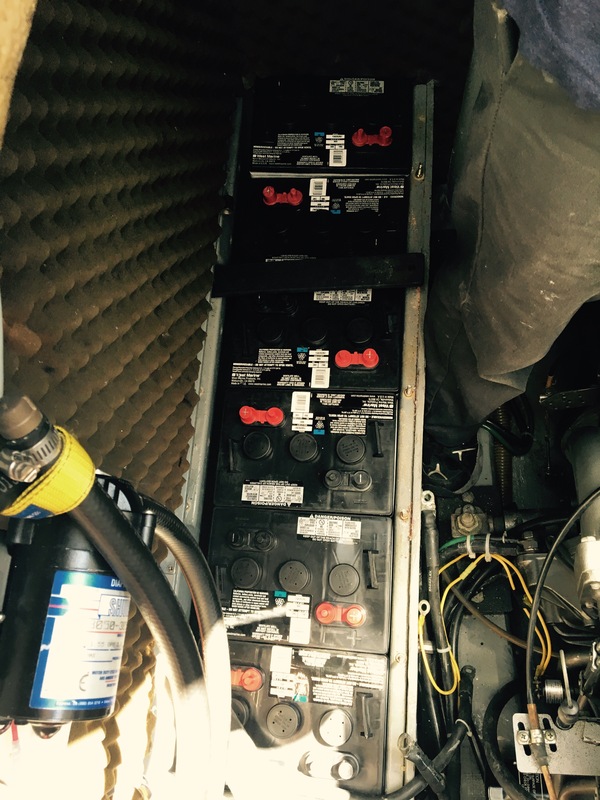 On our way back I called my mechanic and started to source the new batteries, after this snafu with lead acid and my failure to monitor the h20 levels – gotta get AGM (Absorbent Glass Mat) vs traditional deep cycle batteries. This will solve the maintenance issue and also create a safer engine environment (sans sulphuric acid + off-gassing). 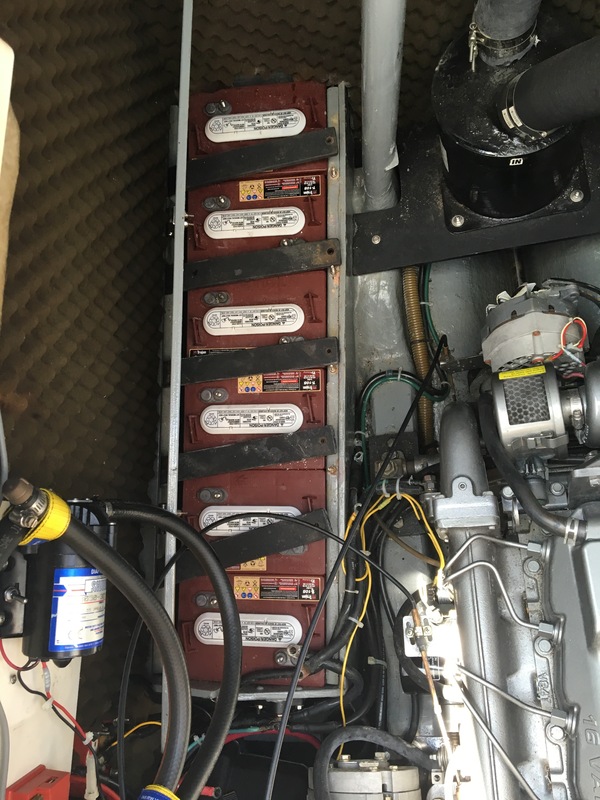 $2400 bucks later and three trips to WestMarine and we had all the cores returned and new batteries on deck. 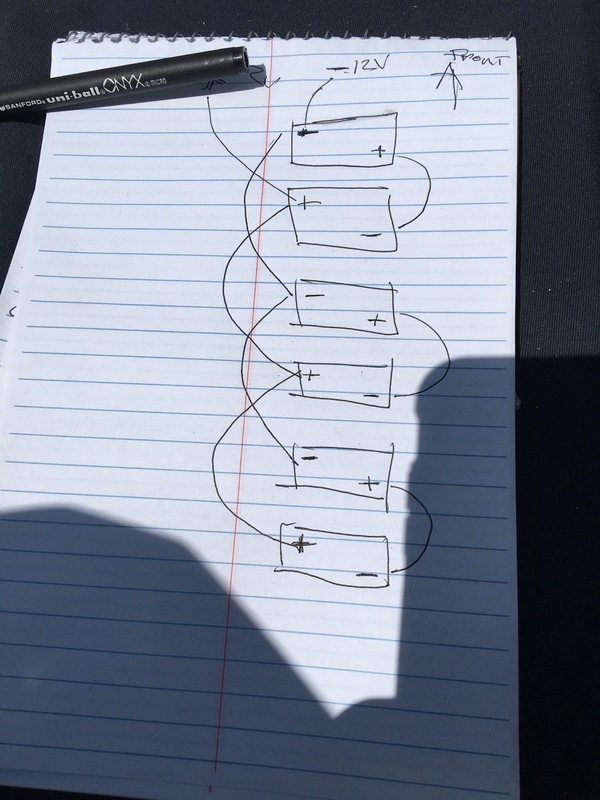 *uner important is to draw the wiring out on a piece of paper so we don’t forget the way it was before removal. 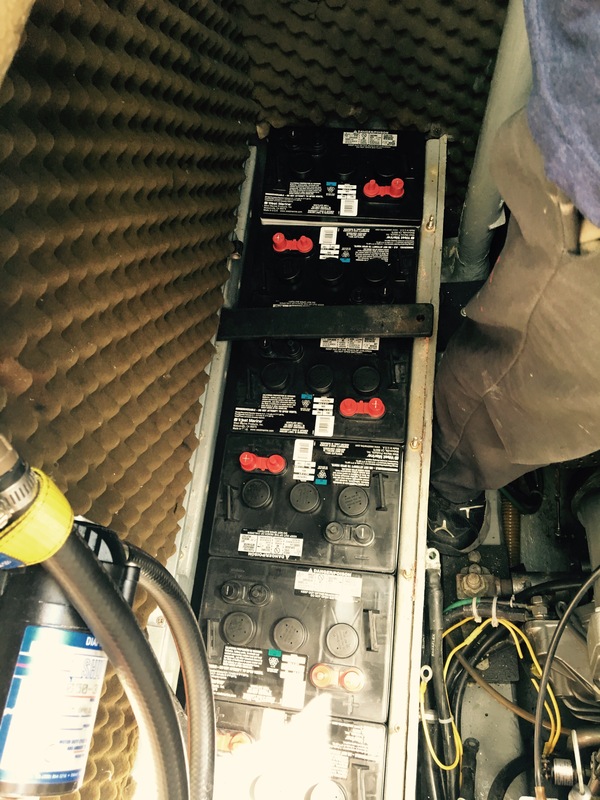 It was a fairly difficult project because the old batteries were 62lb each (leaking water/acid) and the new ones 67lbs each – so we had to muscle them into place during a scorching hot summer day. As always Pedro (my mechanic extraordinare) is great and helped me get the job done properly and safely. 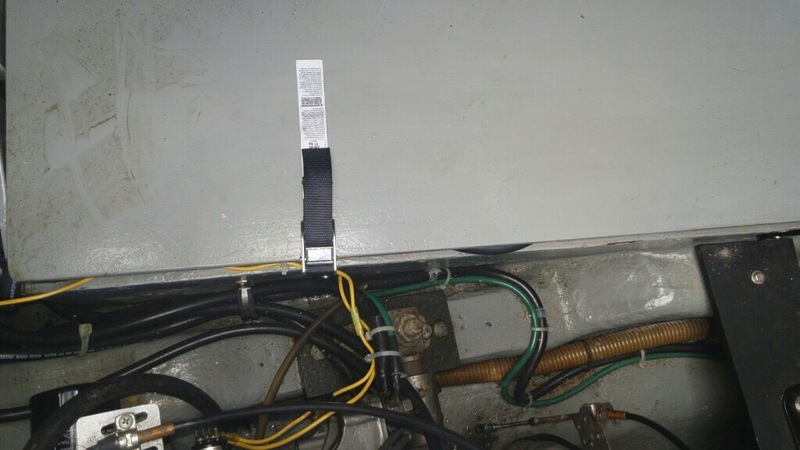 Follow up: we couldn’t get the battery cross members installed (AGM’s are about 1/4 inch taller, so we installed a locking clasp on the battery bank lid – see below. Smart idea from Pedro to make it secure and not allow them to move a inch!